This year’s Pantone Color of the Year, Greenery, is a cheerful yellow-green that’s a bright and refreshing change from last year’s soft pastel duo, Rose Quartz and Serenity. 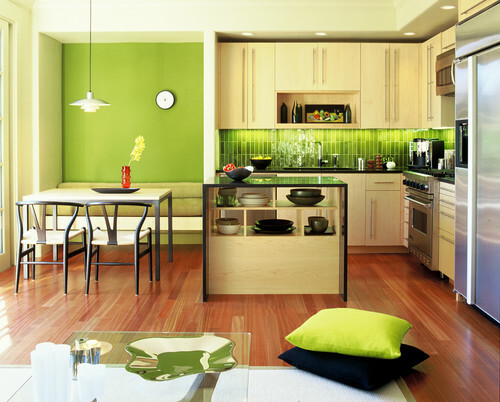 Greenery was already showing up on the runways last spring, and by the time it was announced as the 2017 Color of the Year in December, brands like KitchenAid, Keurig, and Mercedes were already promoting their latest offerings in the vibrant new hue. While it’s still early in the new year, decorators across the land have embraced the color, and it’s showing up everywhere in interiors, from accents to backdrops and focal points. 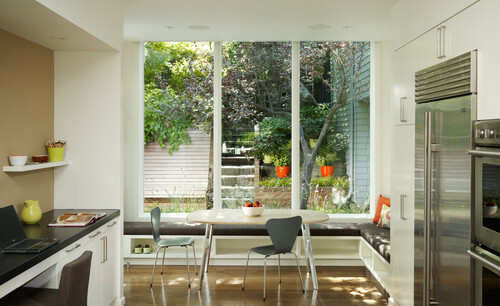 Here’s a look at how designers are incorporating Greenery into their projects. 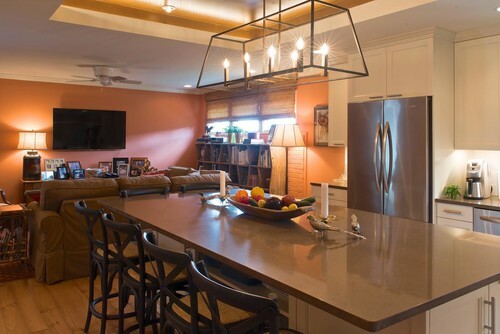 The back-to-nature hue brings zest to this modern kitchen, while still managing to work with warm wood tones. 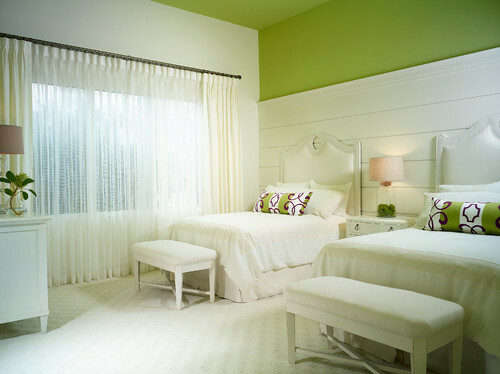 This white and airy bedroom gets an interesting pop of color with Greenery as an accent wall. A basic white office comes to life with pops of Greenery from the bay window bench, curtains, bookshelves, and area rug that contrast with a big blue armchair for a cheerful, yet restful effect. Just one piece of Greenery used a s a focal point makes a bold statement in this black and white dining room. 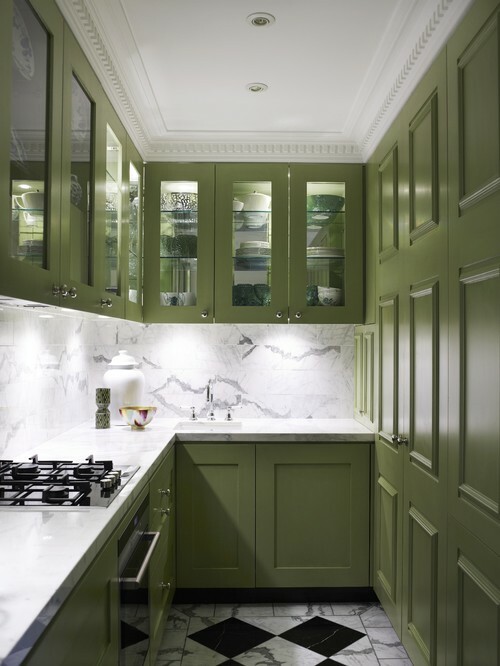 A heavy dose of Greenery in this small kitchen is balanced by lots of contrasting white marble and frosted glass doors on the upper cabinets. 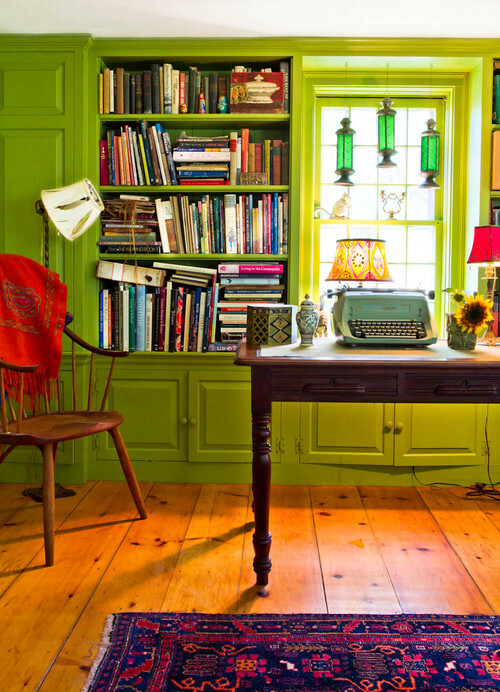 Proof of Greenery’s versatility – a country home office is right at home in this vibrant hue. 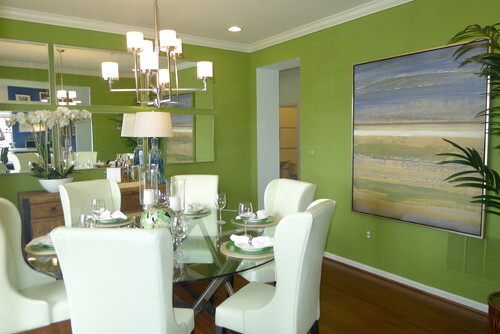 Greenery is a perfect backdrop for the modern white furnishings in this contemporary dining room. 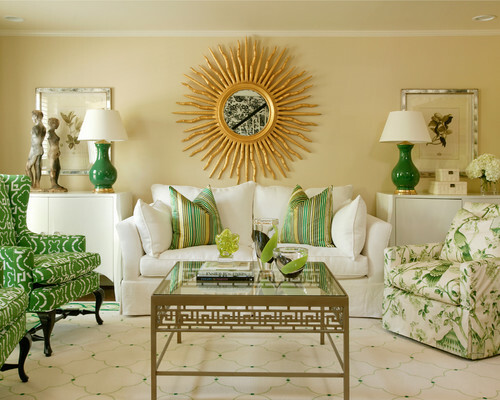 Greenery makes an elegant, yet light-hearted and cheerful statement in this formal living room. To see more inspiring decorating ideas using Greenery, check out our Pinterest board! 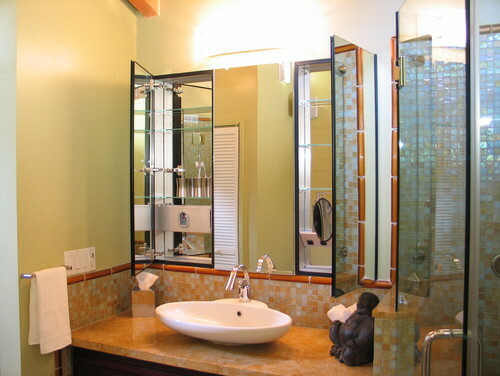 Kitchens, along with master bathrooms, continue to be the most desired areas for home improvement projects. 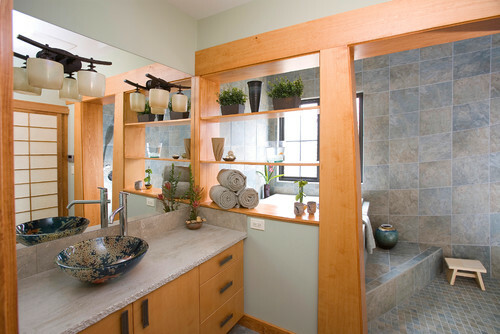 With the current low interest rates and increased property values, most consumers believe kitchen and bath renovations offer a good return on investment. 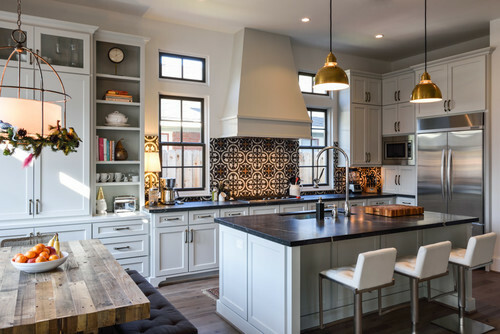 While we believe that any remodel should reflect the style of architecture and location of the home, as well as personal tastes and lifestyle, each years brings new design trends which might be worth considering. Let’s take a look at what’s in store for kitchens in 2017. 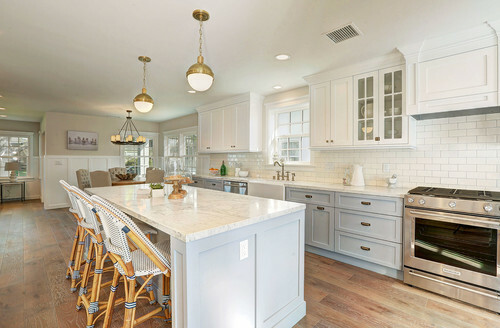 While white cabinets continue to be tops, gray is closing in and could be the top kitchen kitchen color in 2017. And combining cabinet colors is a trendy look that’s holding strong. 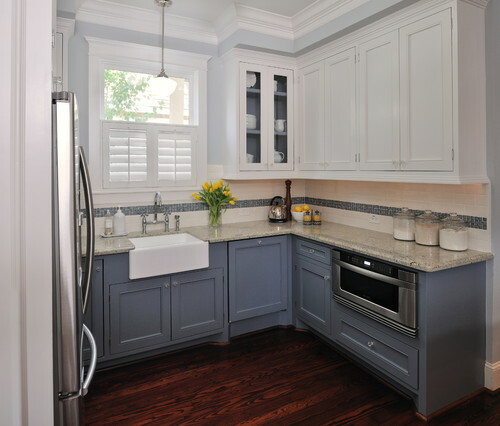 These gray cabinets are painted in Grey Owl by Benjamin Moore. 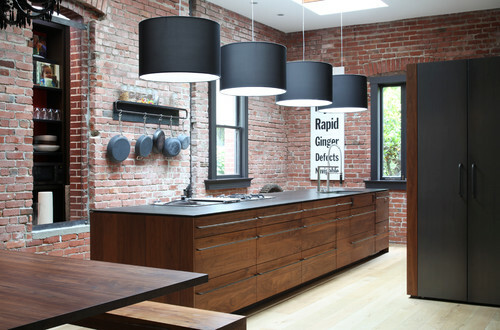 Photo by Jill Frey Kitchen Design. 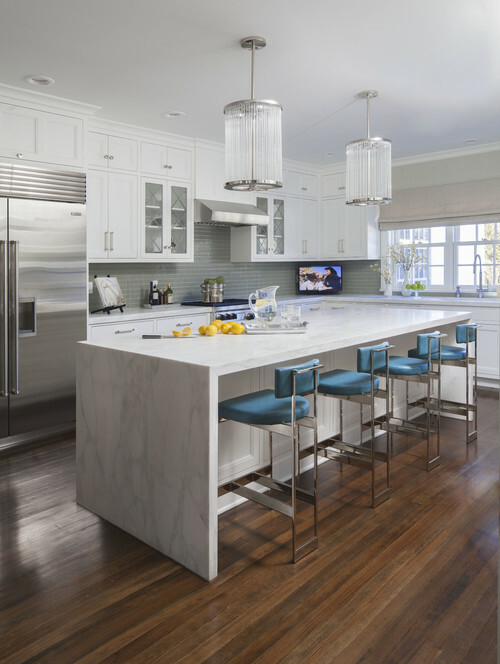 Gray and white cabinet combination with marble countertops. 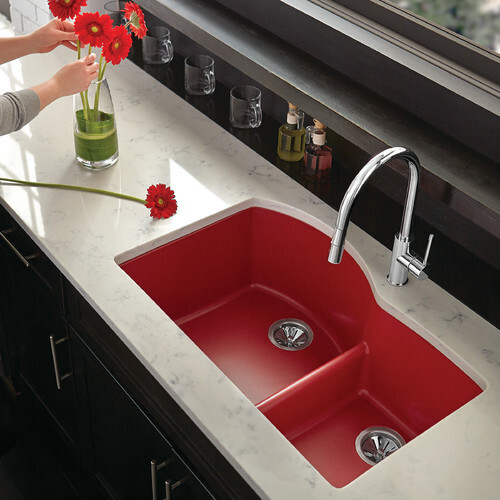 A colorful sink is a great way to pop in a small amount of color in a neutral kitchen or make it more of a focal point by using the same hue in the backsplash. 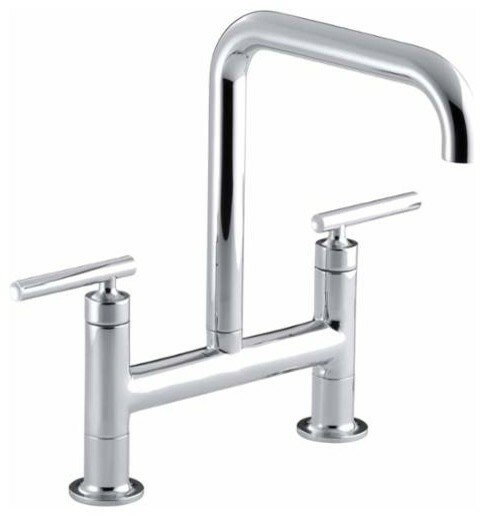 On the faucet front in 2017, keep things clean and minimal by choosing a linear silhouette. The architectural aesthetic will instantly update your look and works with a wide range of styles. 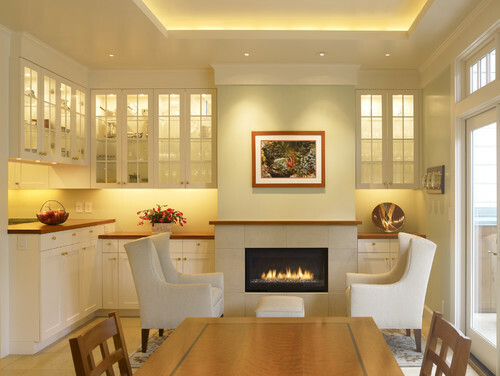 Oversize light fixtures lend a great sense of depth perception and can be used to create drama in a room with a low ceiling. 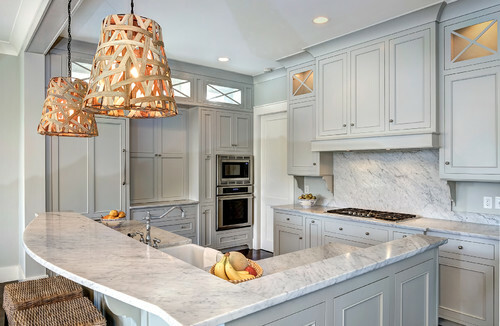 A growing desire for contemporary lines accounts for the popularity of waterfall countertops, as homeowners are opting for cleaner cabinet styles, simpler doors and less molding. 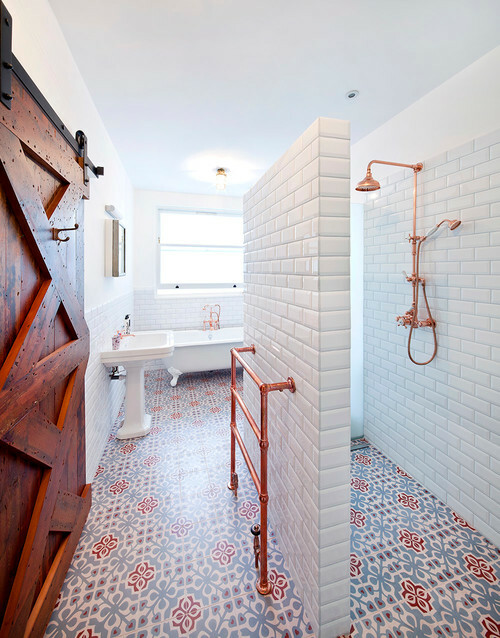 Funky patterned tiles might be taking the place of subway tiles in 2017.